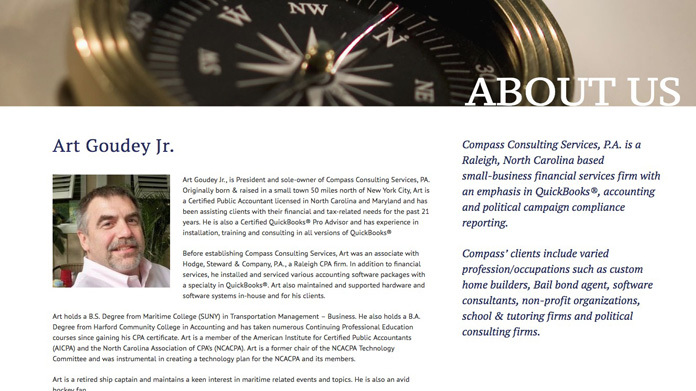 Compass Consulting, a Raleigh-based, small-business consulting firm, works with a variety of clients, including custom home builders, bail bond agents, software consultants, non-profit organizations, schools, and more. 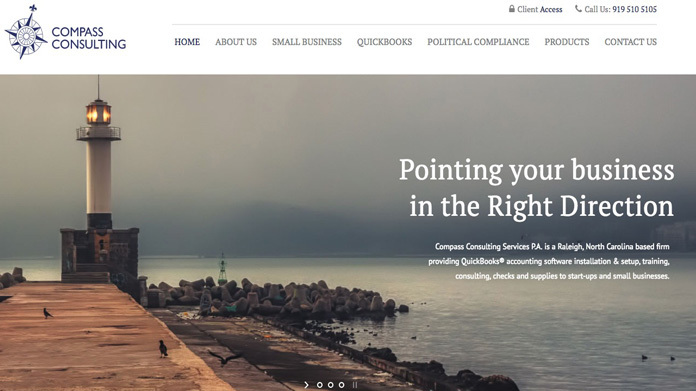 To effectively assist clients with financial and tax-related needs, Compass Consulting emphasizes QuickBooks and accounting and political campaign compliance reporting. 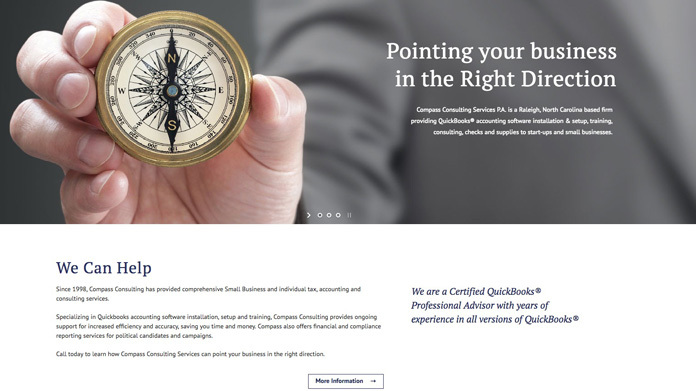 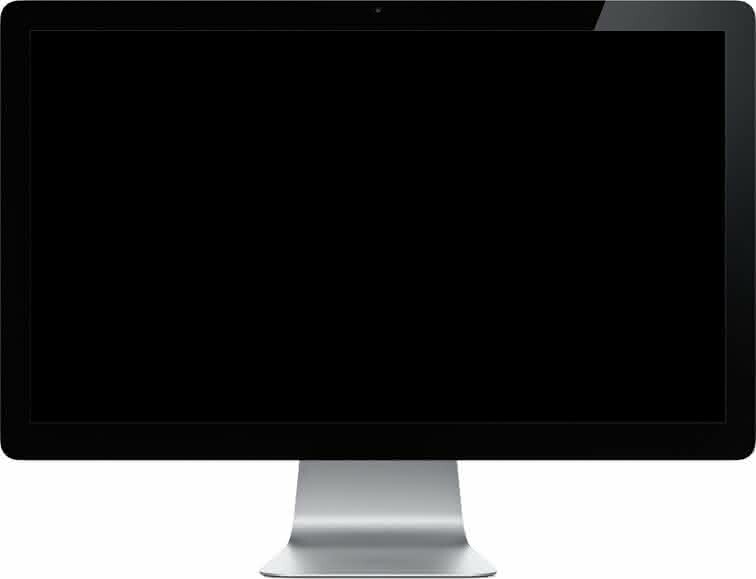 Compass Consulting’s website is highly accessible, and its straightforward menu allows clients to easily retrieve information about Compass Consulting’s useful services.